Hello Day 12! Can you believe there’s less than 2 weeks until Christmas and I’ve almost done 2 weeks of posting every. single. day! 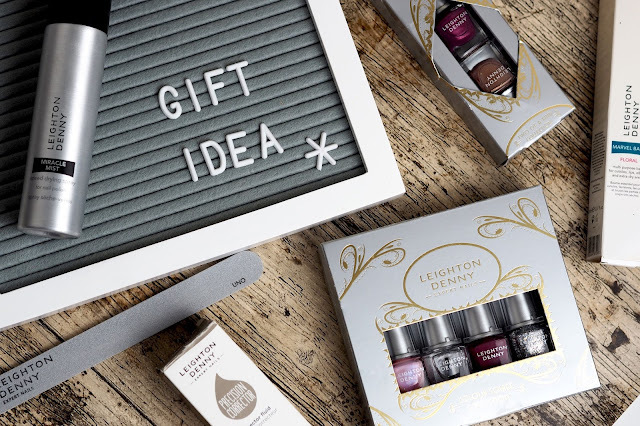 Today, I’m showing you the perfect stocking filler or gift idea for anyone who likes to get their nails done or do them at home. 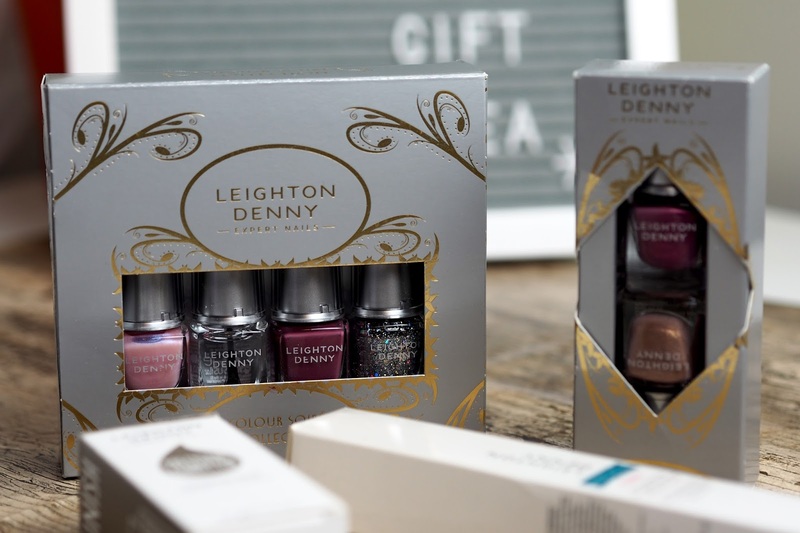 Leighton Denny are one of the brands I always go to when it comes to nail products as I find their nail polishes last the longest on my nails and don’t chip within hours of applying. Leighton Denny have so many different accessories not just Nail polish, everything from Hand cream, files and gift sets, you can bet that you’ll get everything you’re looking for in one place. You could make a cute little hamper too out of all the bits and pieces - perfect for any nail polish obsessive! The Miracle Mist is the best thing for anyone who wears polish. It helps to set the nail varnish in seconds and it saves you waving your hands around trying to dry your nails like a crazy woman! The precision corrector is also a must have for any nail polish wearer - do you always get it on your fingers or cuticles (I do), well this will clean that right up within having to get out the remover and end up smudging half your nail varnish off! Of course, you can’t go wrong with a decent nail file either! I don’t tend to use them to shape my nails, more so to buff the tops as my nails are really oily and if I don’t do this, nail varnish literally just peels off my nails within an hour of applying. 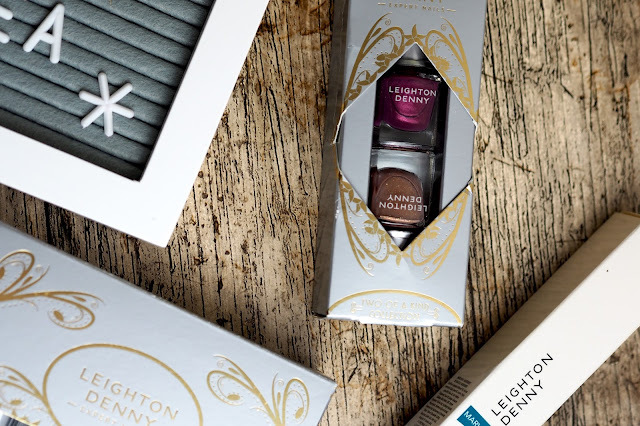 These Leighton Denny files are perfect, sturdy and last ages! And of course, the nail polish. 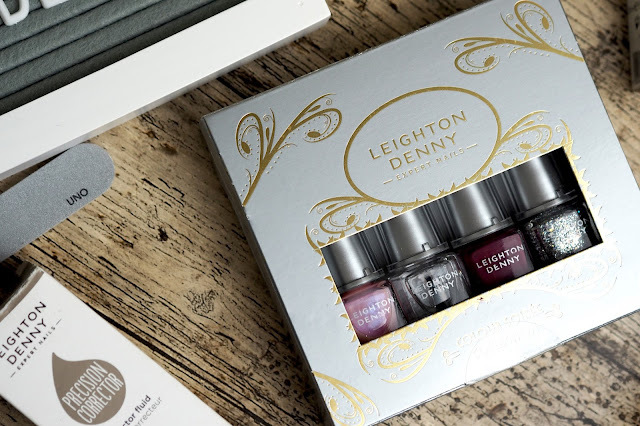 Leighton Denny have released some limited edition sets this Christmas with some gorgeous colours too. You can get shimmers, glitters and beautiful deep reds in the sets. I absolutely love the glitter in them and the shades can be worn all year round, but who doesn’t love a bit of glitter at Christmas?! The larger ‘Real Treasure’ set comes with a natural pink, top coat, a deep reddish purple and a multi-coloured silver flecked glitter and for just £16.00 (the polishes are £8.60 to buy individually). The smaller ‘Real Treasures and Down Memory lane’ duo set is just £10.00 and it comes with a semi-shimmery purple and a bronze/copper colour - both are gorgeous and perfect for the party season! If you’re still stuck for gifts, I can definitely recommend these and you can currently get an extra 15% off on FeelUnique!